First published January 29, 2017 , last updated March 25, 2019 . Reading time: 6 minutes. Guys, let’s be real, ear hair exist. These tiny hairs are not a problem right until they decide to grow into lofty lumps. They can be annoying and some people even find them embarrassing. If you’re embarrassed with your ear hair, don’t worry – we’re here to help you deal with it. Following is a list with the best ear hair trimmers. Suit up and remember, you must opt for a high-quality ear hair trimmer because only the right tool will get directly to the root of the ear hair problem. Looking for quality body hair trimmers? Here are our picks! You no longer have to suffer from your ear hair. With this ear hair trimmer, the removal of hair from your ears is quick, safe and painless. The rotary blade system allows the device to work with a circular action for successful hair trimming. There’s neither tugging nor pulling of hair. The blades are hypo-allergenic, so if you’re sensitive, there will be no allergic reactions. The Panasonic ER430K ear hair trimmer has 4.4 out of 5 stars on Amazon. Out of all the customers who have bought this product, almost 65% have given it 5 stars. Click here to see more images of the Panasonic ER430K. 100% washable – you can clean the trimmer under running water. Norelco NT9130 is the best ear hair trimmer from Philips. It is gentle to the skin and offers comfort through its amazing features. The detailer attachment trims the hair in your ears in a safe and secure way. Not only does it take care of your ears, but it also trims and styles your nose and your eyebrows, as well as your beard and sunburns. More than 1,200 customers wrote Amazon reviews on the website, so the Philips Norelco NT9130 has an amazing rating of 4.1 out of 5 stars; almost 60% of the customers have given it 5 stars. 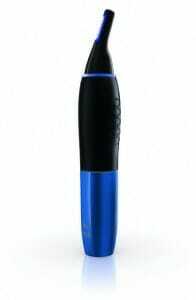 Click here to see which feature of this ear hair trimmer buyers like the most. Easy-to-clean and water resistant system. Weakness: doesn’t cut properly if the hair is curly or thick. 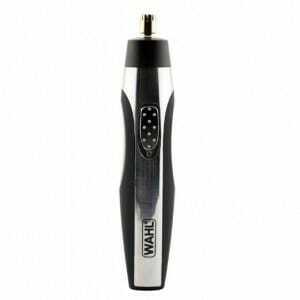 The Wahl 5546-200 is a trimmer that takes a great care of your unwanted facial hair. It removes undesirable and stray hair from your ears in a quick and painless manner. It also clears your unwanted nose hair, neck hair and upper lip hair in swift motions. At the time of writing this article, the price was $20. 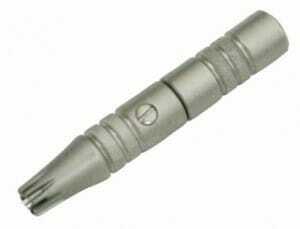 Click here to see if the price for this ear trimmer has gone down. The precision blades trim your ear hair efficiently and painlessly. Weakness: doesn’t cut extra close to the skin. Battery-operated convenience – it operates for up to half an hour, so you don’t have to worry about cords or power outlets. Weakness: the device leaves behind short portions of unwanted hair. Click here to see what else the customers complained about. The Groom Mate Platinum XL has a patented technology that can’t be found in other ear hair trimmers. It also comes with a lifetime warranty, so once you purchase this trimmer you won’t have to purchase another trimmer ever again. Out of 1,200 customers who bought this product and reviewed it on Amazon, 55% have given it 5 stars. Click here to see why! Weakness: not as fast as other hair trimmers. One product can be excellent for you but horrible for others, so that’s why we acquired information on more products and now we leave you to decide which one is the best for you. Whatever you choose, we assure you that you can’t go wrong with these five trimmers. They don’t tug on hair like some other trimmers do, so the hair ear hair removal process is painless and safe. Next, read these reviews of hair clippers on our home page or head over to nose hair trimmers for more ideas.